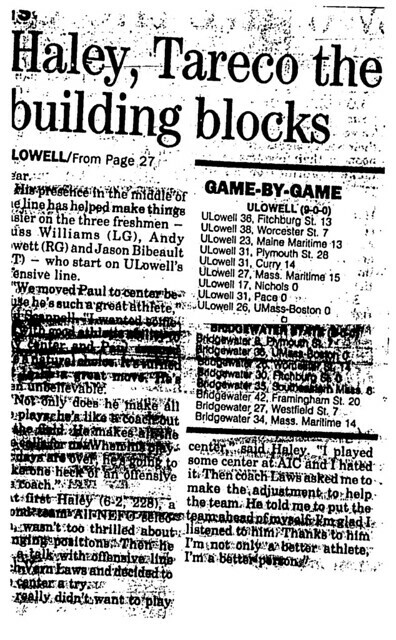 One of the leading Lowell High School athletes of the 1980’s, Paul Haley earned honors at the state, regional, and national levels during a career as a legitimate 2-sport standout. A 2-way starter at tackle on the Lowell High School football team, Paul was one of the driving forces behind Coach Walter Nelson’s Merrimack Valley Conference Championship gridiron team in 1986. 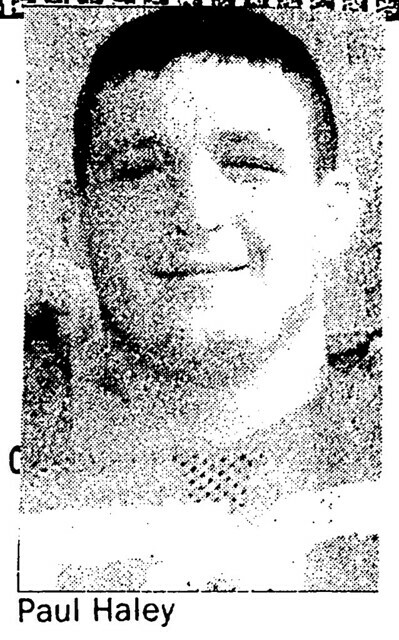 A 2-time winner of the Raiders’ Outstanding Defensive Lineman Award (1985, 1986), Paul was selected to the Lowell Sun All-Star football squad for the 1986 season. As a member of Hall of Fame Coach George Bossi’s Wrestling team, Paul earned a place for himself among the greats of that elite program. Paul won back-to-back Massachusetts State Championships in the heavyweight division in 1985–86 and 1986–87. Paul was an instrumental part of the Raiders’ MIAA State Team Championship during the 1986–87 season. He was selected to the Boston Globe All-Scholastic team at the conclusion of the season. During the off-season, Paul placed 2nd at the USA Wrestling National Freestyle Championships, earned All-American honors in the process. After first attending American International College (AIC), Paul returned to his Lowell roots, transferring to the University of Massachusetts at Lowell where he became one of the mainstays of the offensive line for Coach Dennis Scannell’s powerhouse teams. Paul was chosen to the Eastern Collegiate Athletic Conference (ECAC) All-Star team for the 1989 season. 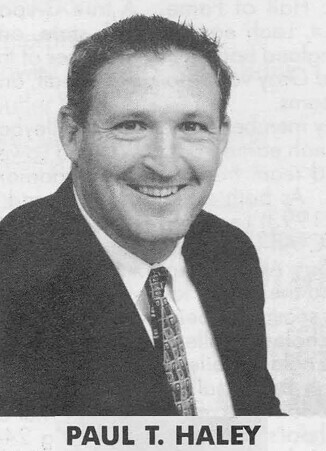 He was elected as the team Captain for UMass Lowell for the 1990 season.